Description: Digitization provided by the USF Libraries Digitization Center. Rare Maps. 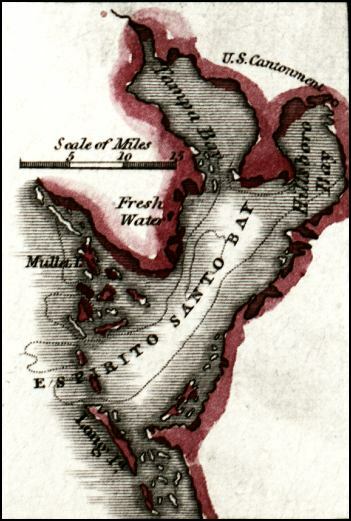 This map shows the Espirito Santo Bay which is now Tampa Bay, circa 1834. It also shows inland water, U. S. Cantonment, and surrounding islands.